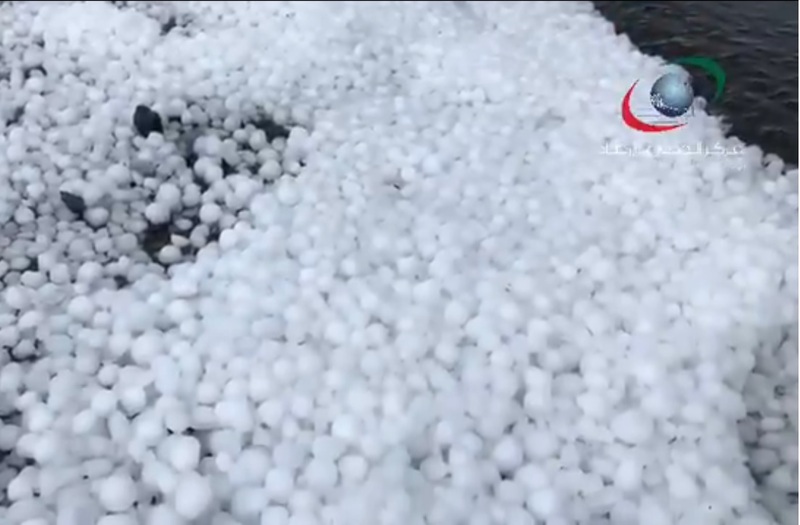 Dubai: In a unusual scene, rainfall accompanied with hail precipitation in Fujairah, has blanketed some of the emirate's villages in a slushy coat of white. Hail storm and heavy rains hit Fujairah and nearby areas on Sunday morning prompting weathemen to warn motorists to take extra care. Meteorologists have reported heavy rain in Fujairah's Tawiyen district early on Sunday morning. Meanwhile, the weather bureau warned of formation of thundery clouds with rainfall and fresh winds, potentially reducing visibility in the area. More rain and poor horizontal visibility is forecast over the next few days as the dusty, cloudy conditions are set to prevail at least until Tuesday, weathermen said.